In 1951, Louis Toebosch won the first International Organ Improvisation Competition. 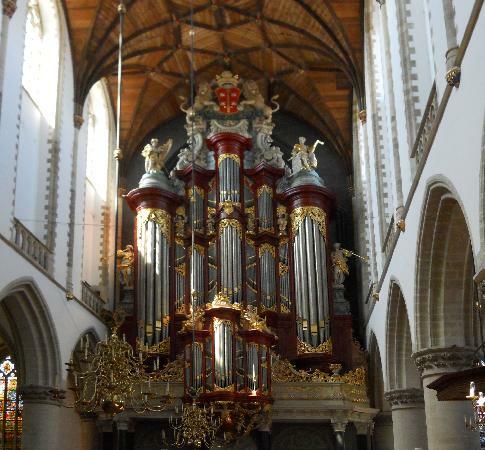 He was to be followed by Anton Heiller in 1952, Piet Kee (1953, 1954, 1955) and many other organists who later became internationally known names. Winning ‘Haarlem’ was, and is, the first step to an international career. Even just taking part in the competition has helped launch many a career, as the names of the numerous famous organists among the previous participants testify. 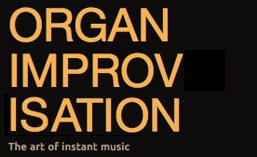 The final round of the 50th Haarlem Improvisation competition takes place this evening. The themes for the final round were composed this year by Louis Andriessen, who descends from a famous family of Haarlem musicians. Threefold winner Hans Haselböck (1958/59/60) wrote the theme for the first round. For the second round the renowned Dutch composer Roderik de Man provided material, accompanied by videos for the audience created by the sound and video artist Marcel Wierckx. The competitors have only one hour to prepare their improvisations with the help of a pencil and paper (but not an instrument). Beginning from 22 applications from 11 countries, the following 8 contestants were selected to compete in the first of three live rounds from 14-18 July: Jacob Lekkerkerker, Geerten Liefting and Harmen Trimp (Netherlands), David Cassan (France), Lukas Grimm and Tobias Wittmann (Germany), Morten Ladehoff (Denmark) and Luke Mayernik (USA). Four have been selected to continue to the final round at St. Bavo’s Church. The jury, chaired by Stephen Taylor, includes five internationally renowned organists: David Briggs (Canada), Jürgen Essl (Germany), Zuzana Ferjencikova (Slovakia/France), Gilbert Amy (France) and Jan Hage (the Netherlands). A livestream may be available here: http://www.ustream.tv/channel/orgelfestival. Posted in Information. Tagged Competition, David Briggs, David Cassan, Geerten Liefting, Gilbert Amy, Haarlem, Harmen Trimp, Jacob Lekkerkerker, Jan Hage, Jürgen Essl, Lukas Grimm, Luke Mayernik, Morten Ladehoff, St Bavo, Tobias Wittmann, Zuzana Ferjencikova.